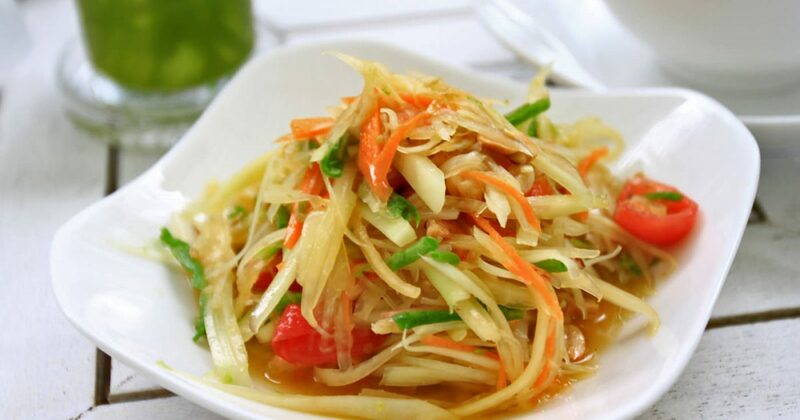 Som Tam (Somtum) is probably one of the cornerstones of Thai Cuisine and it comes in various versions, but the main ingredients will almost always include grated green papaya with fish sauce, lime juice, chilies, dry shrimps, green beans and peanuts. Som Tum Tai is the most simple form and popular variations are the Som Tum Poo with salted black crabs and Som Tum Kai Kem, prepared with salted eggs. It does come in countless versions, some of which can be really pungent and extremely spicy, but the more you eat the more you will love it. It might surprise you the first time but you should really try. 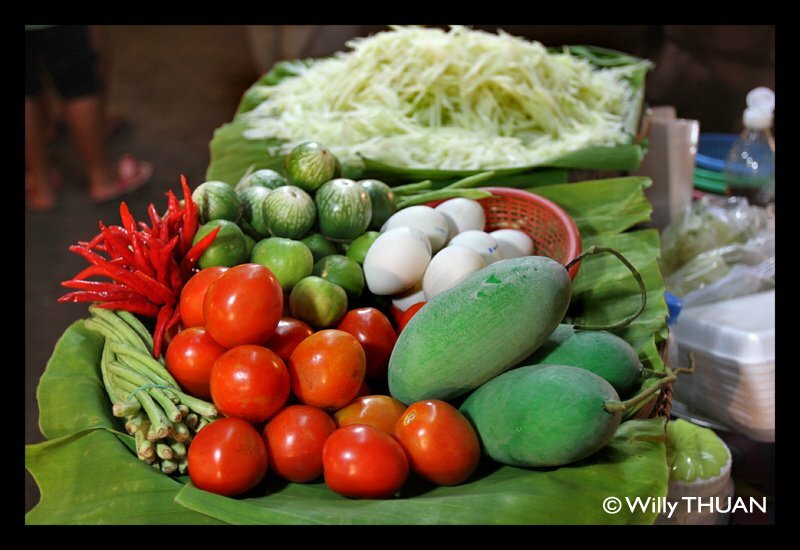 Ask for ‘Som Tam Thai’ and mention ‘Mai Pet’ (not spicy) as it can be prepared really hot in local southern restaurants. 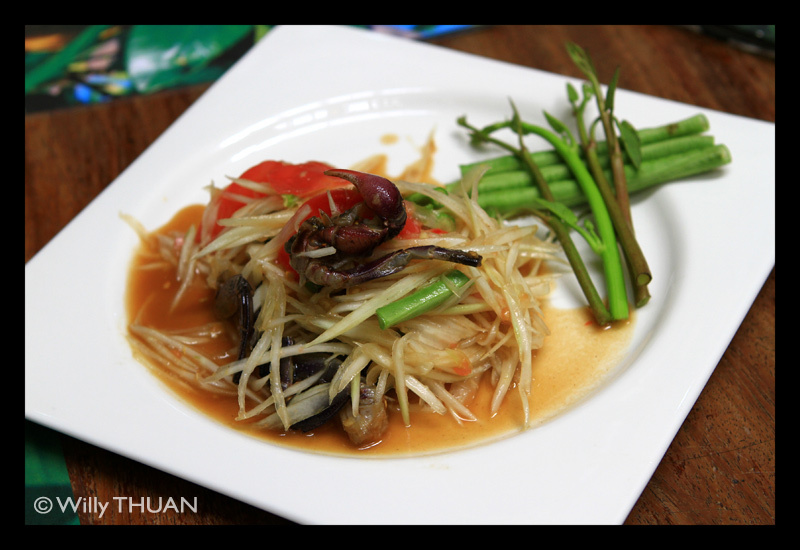 It is excellent eaten with Kao Niao (sticky rice) or even Kanom Jeen (cold rice noodles).